QBP‘s John Gaddo paid a visit to his childhood hometown of Northfield last Friday. 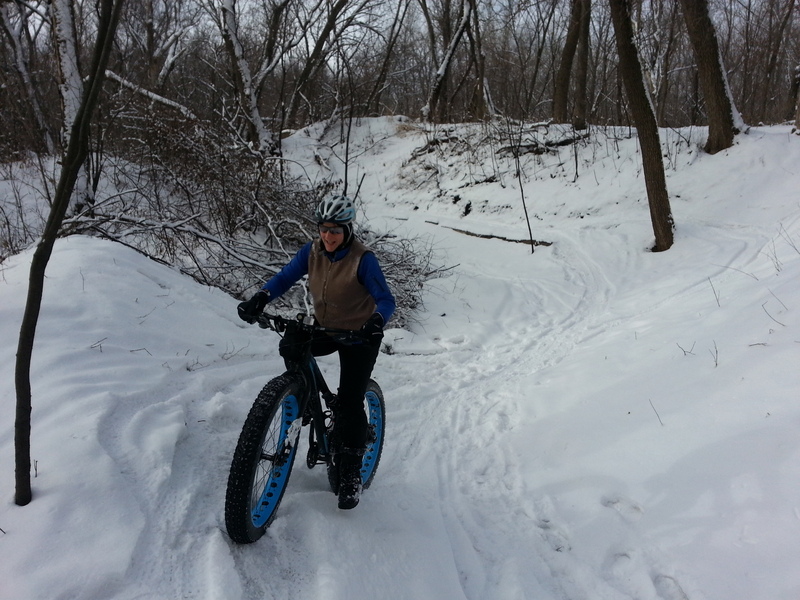 I was his host and among other activities, we rode some of the technical features along our Sechler Park MTB trail. We don’t have a grandiose plan (yet!) 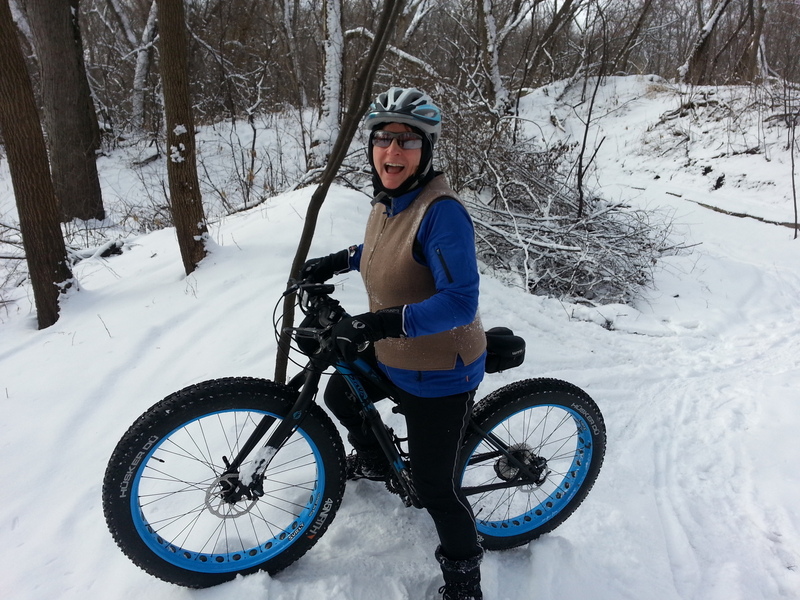 to create ‘destination’ mountain bike trails here in Rice County. 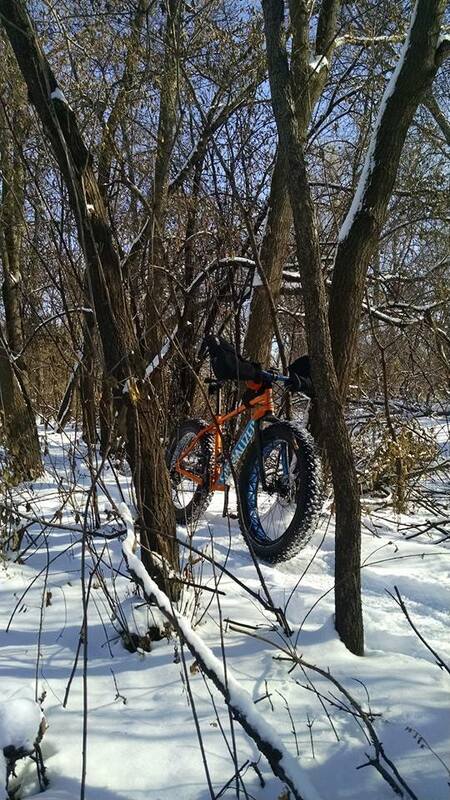 We first want to create trails for those of us who live here to ride. 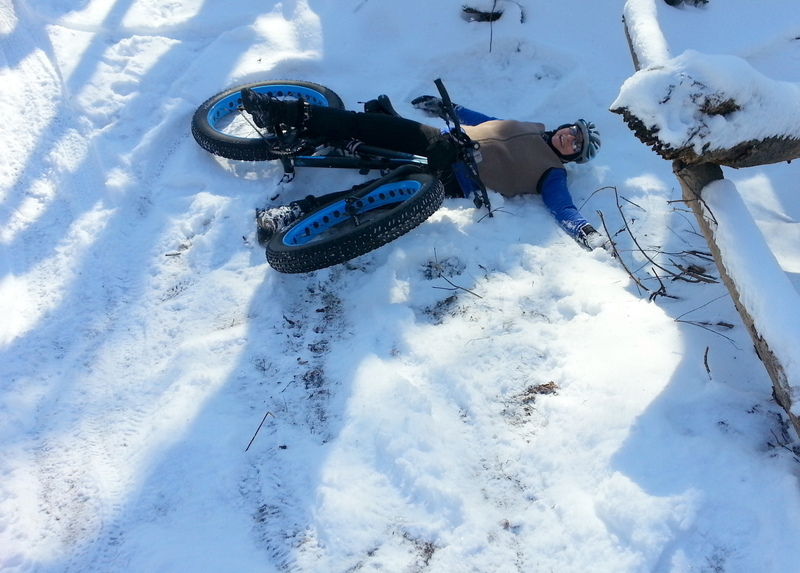 But having trails that mountain bikers can enjoy when they are visiting the area for some other reason is cool. And I think it adds to the overall desirability of the area for those considering moving here. 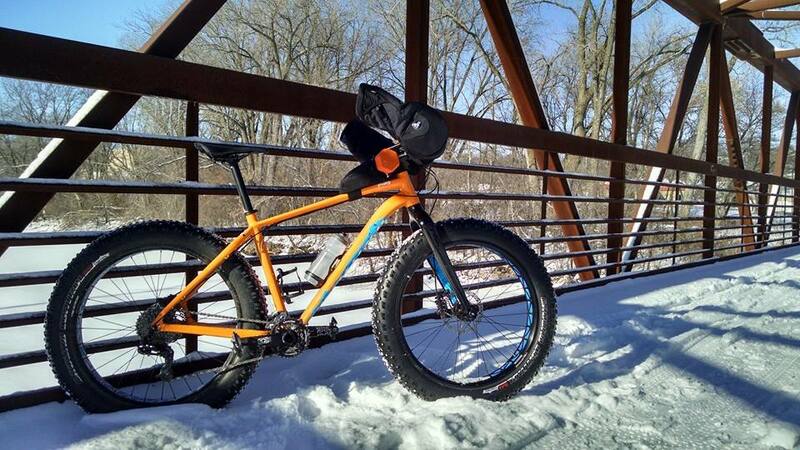 As far as I know, Rob Stepaniak, manager of the Highland Park Erik’s Bike & Board Shop in St. Paul, was the first non-CROCTer to ride our Sechler Park trail when he paid a visit on Thanksgiving morning on his way to visiting family in Faribault. 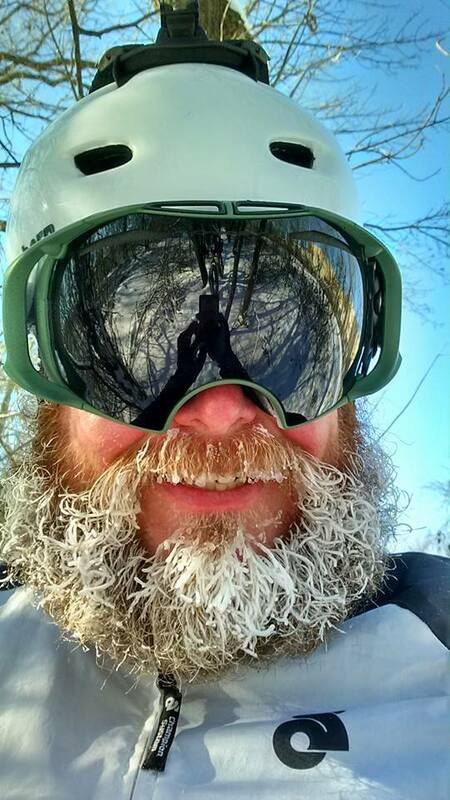 I wasn’t there but he posted these photos on Facebook and gave me permission to use them here. 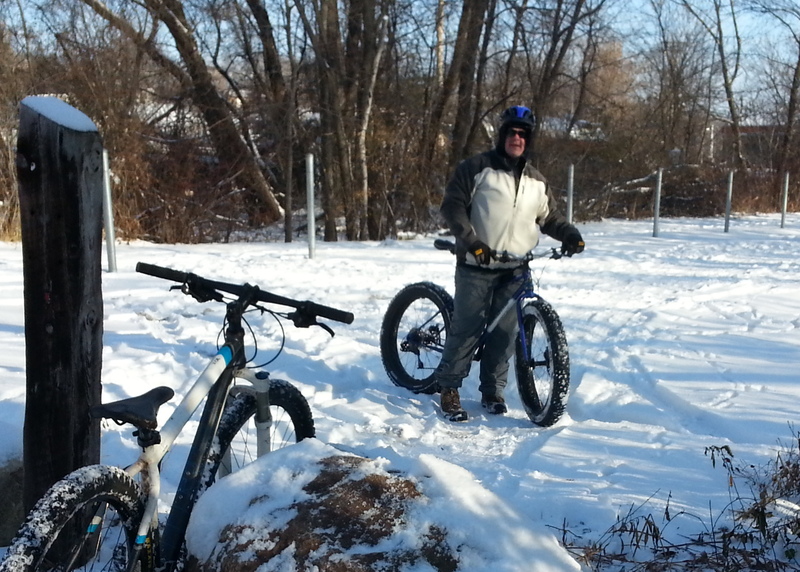 Last Saturday, I gave MAMB member Clay Haglund a tour of the Sechler trail on his way to visiting family in Hastings. I captured this 27-second video of him sessioning in the Figure 8 loop. 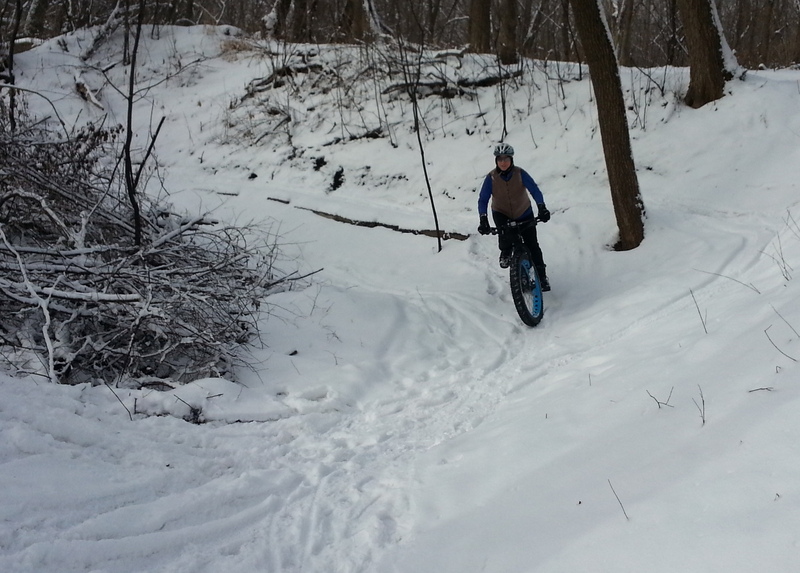 I’m pretty sure he was the first to make it up the steep portion of the ‘velodrome’ segment since it snowed.